﻿ Faircity Grosvenor Gardens Pretoria. JIMAT di Agoda.com! Ada soalan mengenai Faircity Grosvenor Gardens? Jika apa yang anda cari adalah penginapan dengan lokasi menyenangkan di Pretoria, cuma perlu lihat Faircity Grosvenor Gardens. Pusat bandar hanya 5.6 Km jauhnya dan boleh sampai ke lapangan terbang dalam tempoh 30 minit. Dengan tarikan utama di bandar ini seperti Kedutaan Kanada, Kedutaan Ireland, Kedutaan Turki berada pada jarak yang dekat, pengunjung hotel pasti akan menyukai lokasinya. Di Faircity Grosvenor Gardens, perkhidmatan yang cemerlang dan kemudahan yang unggul menjadikan penginapan anda tidak dapat dilupakan. Wi-Fi percuma semua bilik, pengemasan harian, dobi layan diri, khidmat teksi, pengawal keselamatan 24 jam merupakan beberapa kemudahan yang membezakan Faircity Grosvenor Gardens daripada hotel-hotel lain di bandar. Tetamu boleh memilih dari 29 bilik, semuanya yang akan memberikan suasana ketenangan dan keharmonian. Hotel ini menyediakan kemudahan rekreasi yang baik seperti padang golf (dalam jarak 3 km) , taman untuk membuat penginapan anda benar-benar tidak dapat dilupakan. Nikmati perkhidmatan yang sukar ditandingi dan lokasi benar-benar berprestij di Faircity Grosvenor Gardens. Caresia has a really bad attitude. Every request that I had was an issue. The facility is really nice. Marius really tried hard to fix the issues. Without my knowledge, they unilaterally changed my booked and paid 2 Two-bed room apartments to 4 Studios. They coerced me to accept those 4 Studios at 20h00 after we travelled 900kms with Aunts (80 years olds). The staff refused to hand-over the keys until I signed the documents, and refused to help me talk with the senior personnel- UNBELIEVABLE ! CRAZY ! ! Spoke with the staff in the office the next day and stated 'Regular customer suddenly extended the stay in the eleventh hour, and hence could not contact and inform of this change', and comforted me by stating NO EXTRA COSTS. Could not even sms, phone, email etc to inform and get consent ? ? !!!!!! On 6 August last month the day of checking out, few of my friends wanted to leave early and they would not open the gate until the due money paid. They made me pay an extra amount of about R3400.00 for their mistake. THIS HAS HAPPENED AND SHOULD WE LET THIS CONTINUE TO HAPPEN. UNBELIEVABLY UGLY UNFORTUNATELY. GOD BLESS THEM ! Cupboards were not clean and we would have preferred a proper shower and some loose carpets for the tiles. The rooms were spacious. Would have preferred a separate shower instead of the portable shower head in the bath tub which was a bit inconvenient with having to position it so that it did not flood the bathroom. Also, we stayed over the easter weekend and was told that staff was minimal and had to request twice in order for our room to be cleaned which was done after the second night of stay. I did not think this was acceptable for a 4 star establishment. 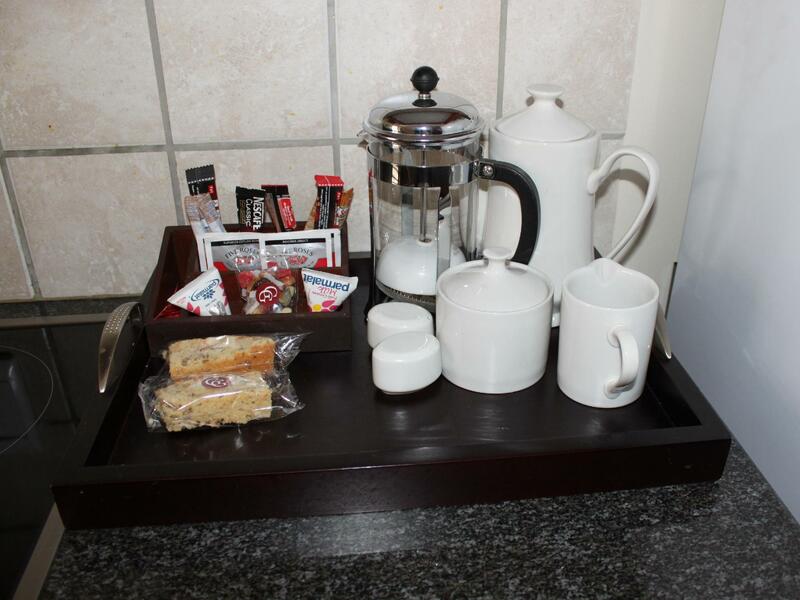 Central location, spacious apartment, serviced daily and accommodating staff. 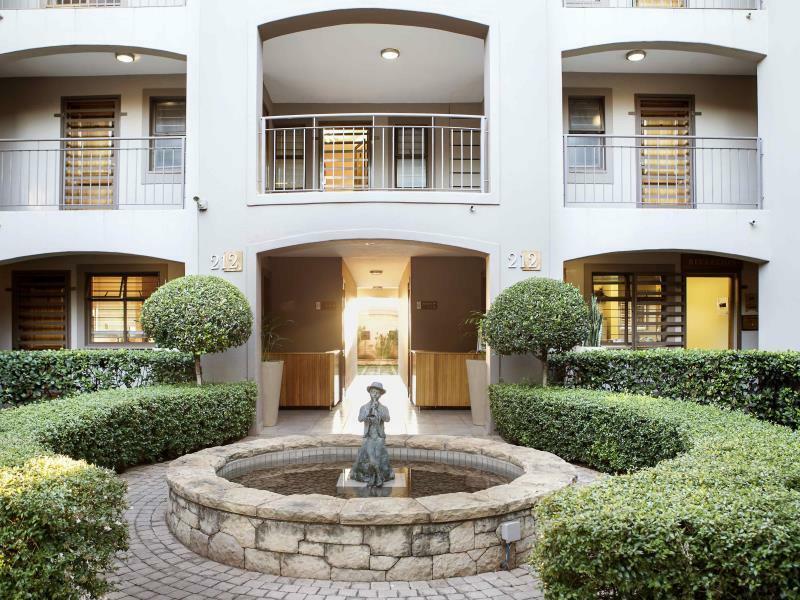 Faircity Grosvernor Garden is well located in the heart of pretoria in Hartfield. it's close proximity to gautrain and most high commissions and embassies is a plus also there are a myriad of restaurants and eateries within short reach of the hotel. The rooms are spacious and very clean. Its perfect for both short and long time stay. Should you choose to do your cooking a standard kitchen is within the apartment with all the necessary facilities available. I will definitely stay there again and again. Staff and the environment was amazing. They didn't have a washing machine and shuttle. The apartments were identical to the pictures on the website. I stayed for three nights and was satisfied with the facilities. The apartments are well located, have neat rooms and are great value for money. Very good location. Walked to the train station and walked to the shops. But none of the light bulbs worked and the flat had a few areas that were not cleaned at all. Overall good spot for business travels in Pretoria. The hotel is beautiful, fully equipped kitchen. We stayed for 2 nights...we went out touring Pretoria. We came back and find that the room is not cleaned. If the hotel want us to clean our own room why are there no cleaning equipment in the room.